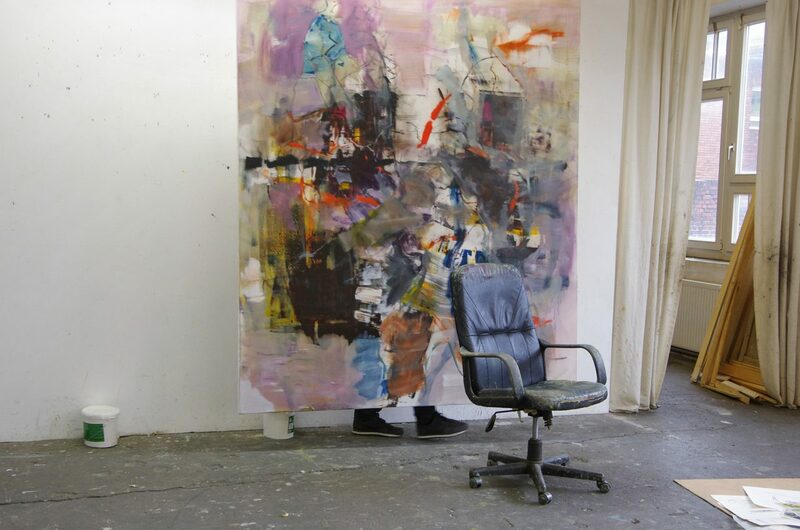 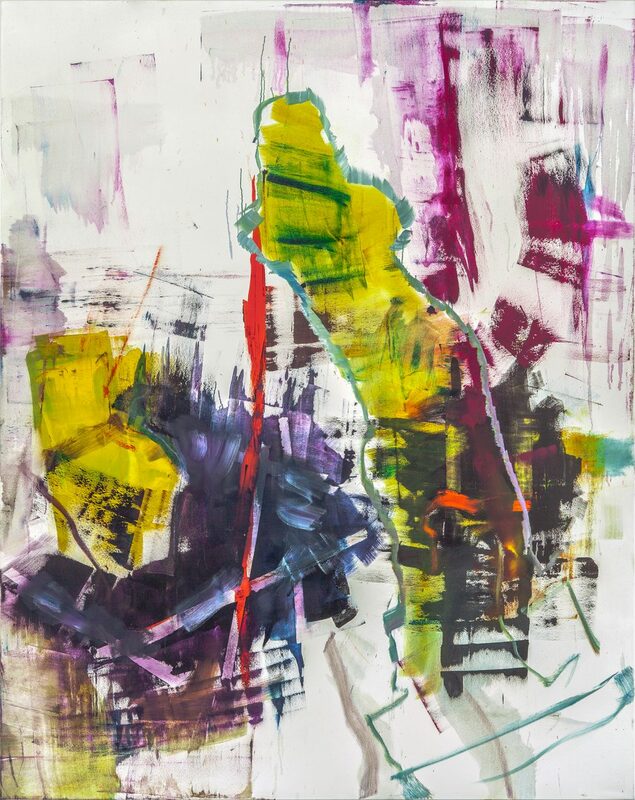 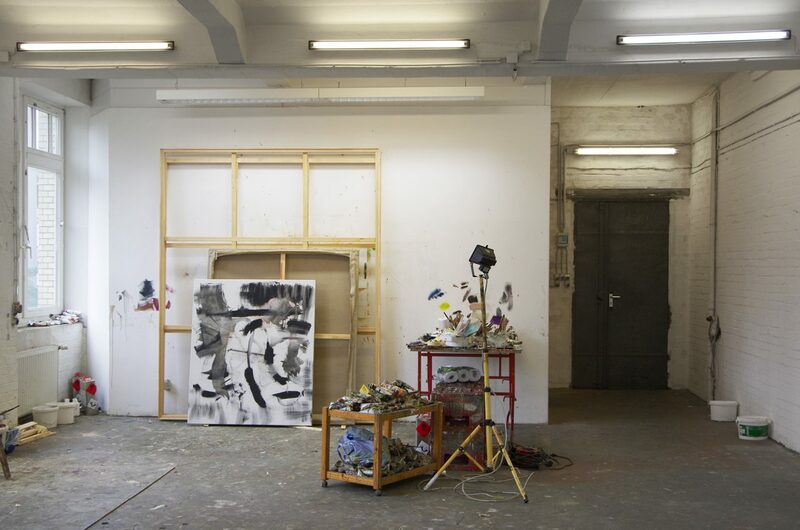 The paintings by Robert Muntean, who was born 1982 in Austria and lives in Berlin since 2007, are generated out of the tension between objectivitiy and abstraction, between immediacy and process. 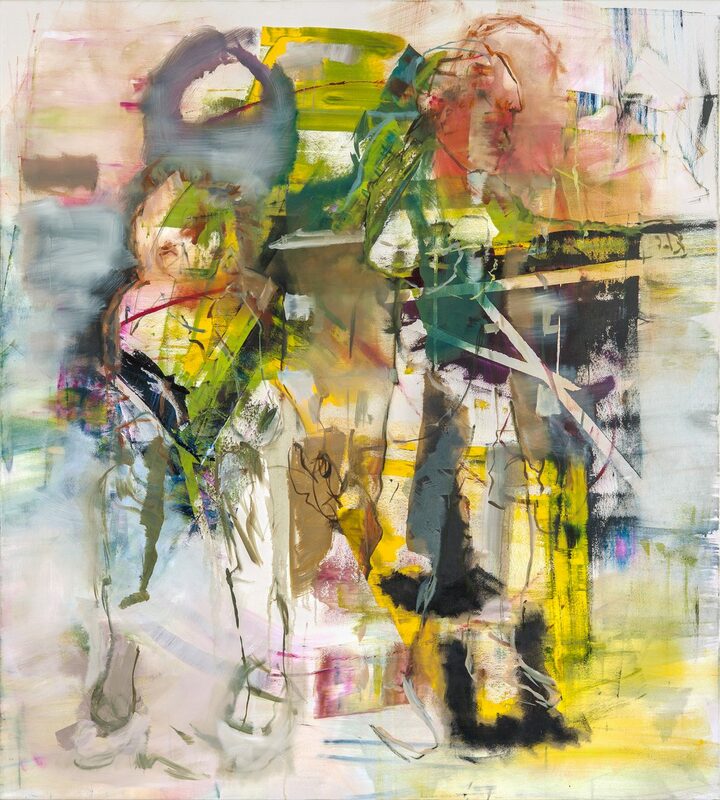 The central and pivotal point of his painting is the figure, though it consistently eludes the expectations of figurative painting; Muntean‘s figures baulk at absorption under the concepts of representation or a superordinate narrative. 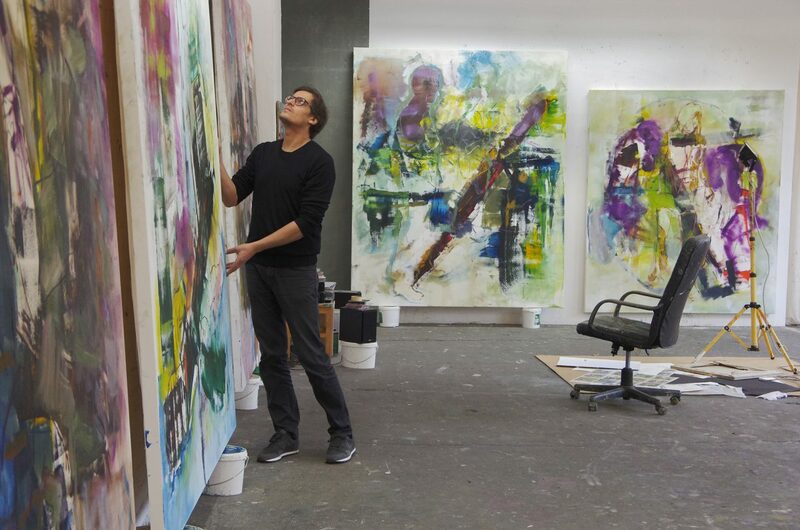 In his latest works, Muntean shows of what radical importance painting as a medium is for him. 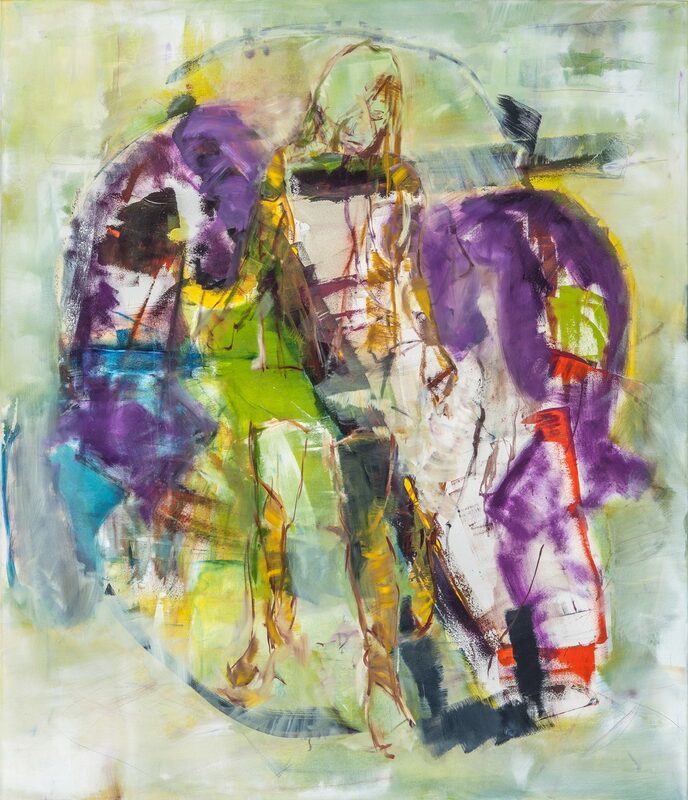 The works always lie in the crossroads of reasoning and knowledge, additionally their simultaneous deconstruction and doubt. 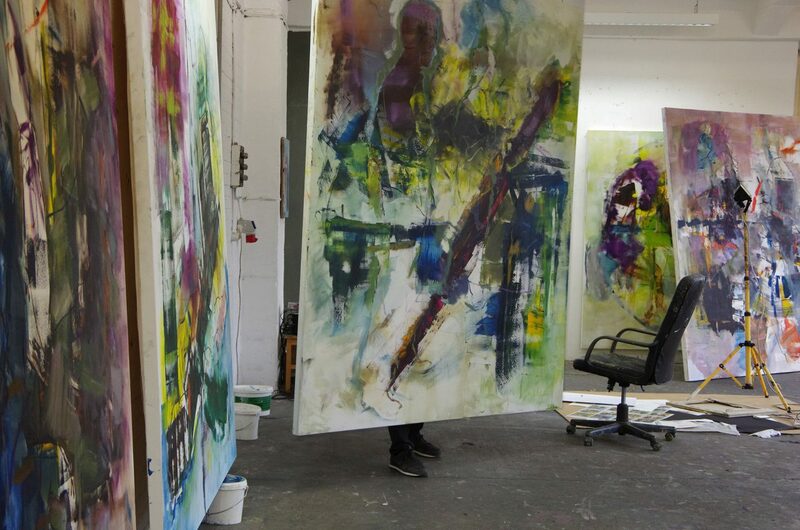 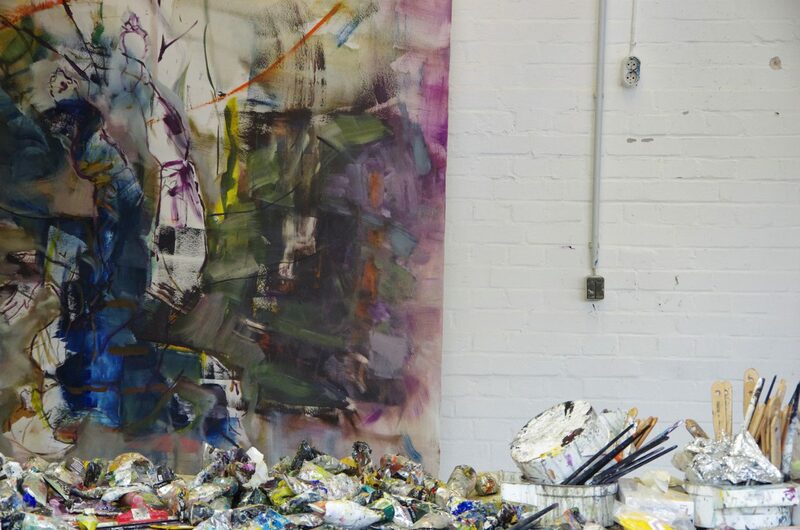 In the enormous gestural vibrational fields consisting of blurring and almost feverish interferences and displacements, the artist links colour virtuously with a vaguely suggested repertoire of figures and symbols, which he pours into his large-scale works from both art-theoretical and history of ideas references. 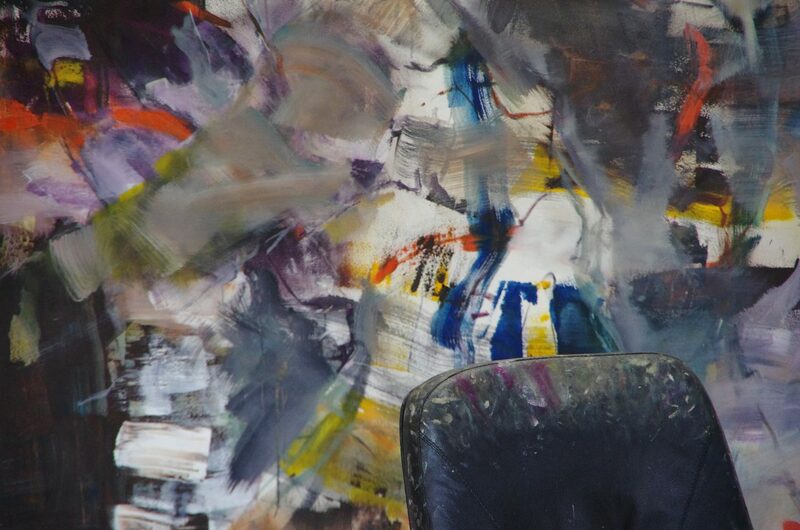 The instability of colour, which is often blurred, corresponds with precarious motifs of falling, reversal, or reflection.